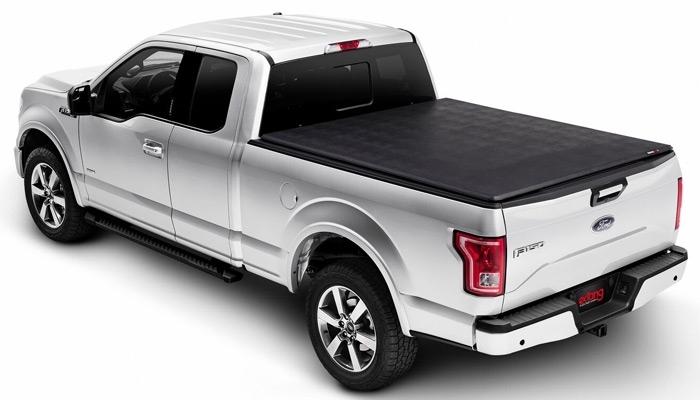 Bison Fleet can help you choose the best tonneau cover or truck cap for you. 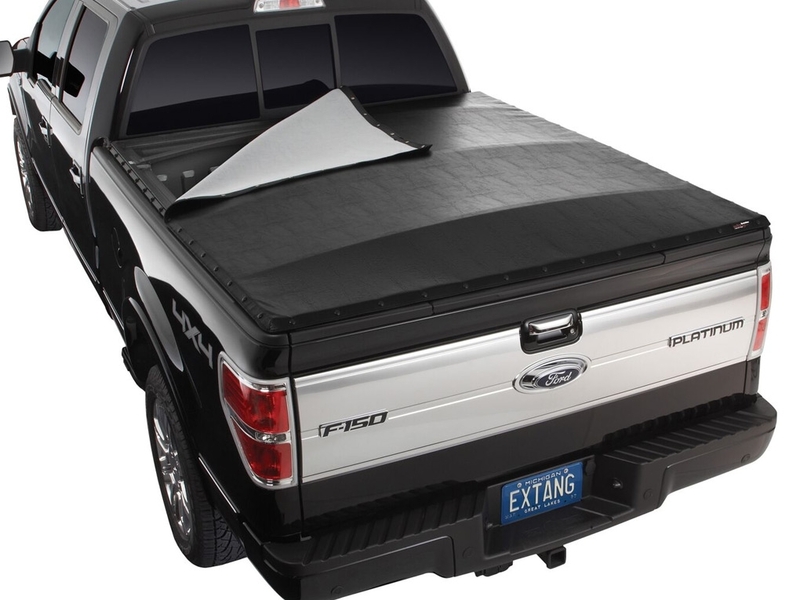 The stylish upgrade of a tonneau cover or truck cap can help keep your cargo secure and protected from thieves and/or the weather. Which style cover or cap is right for you? The techs at Bison Fleet can help! Some of the following questions and information will be what are professionals are considering when they are talking with you about your new investment. Truck Cap or Tonneau Cover? 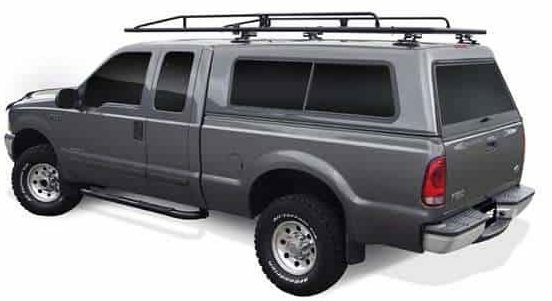 Truck cap is perfect for cargo that when in the truck bed is taller than the truck bed and smaller than the truck cab. The extra height protection is the strength of this option. Keep in mind it takes at least two people to remove. Tonneau covers are an upgrade to your vehicle. The flat covers for the truck bed protect your cargo, protect your privacy, look stylish and save gas. Tonneau covers are easy to install and remove. You have convenient access to the truck bed with the flatbed cover on the vehicle as well. 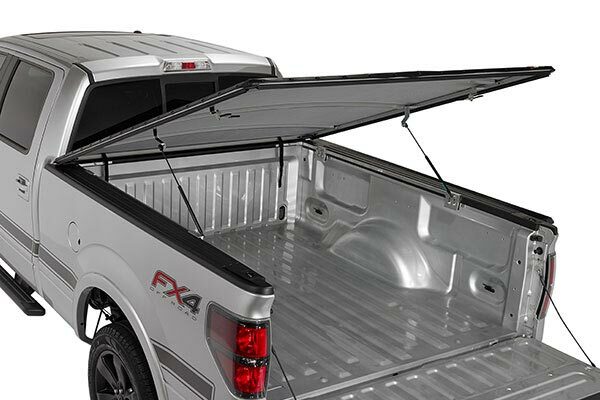 The tonneau covers work best for those that can fit their cargo in the existing bed space. The covers are more flexible for cargo that would be taller than a truck cap (taller than the cab). 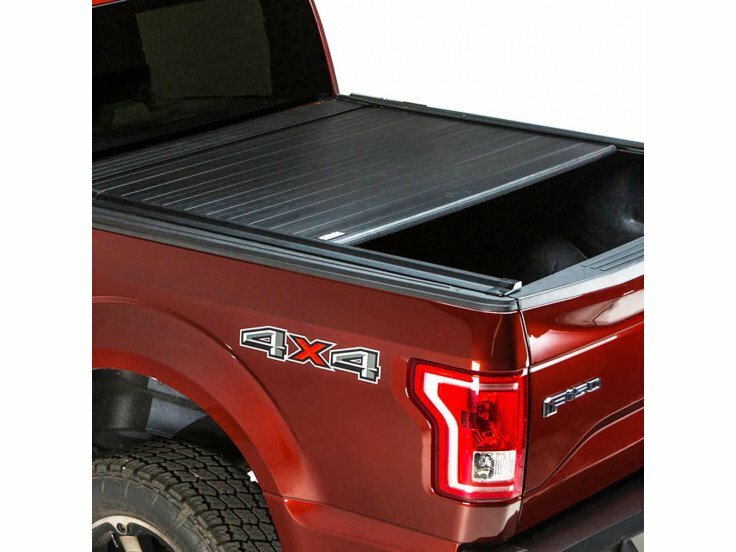 Tonneau covers keep the driver visibility the same where the truck caps limit visibility. Also some people like to keep the original style lines of the truck and the cover allows for the same stylish look. How will you be using your truck bed cover or cap? For practical purposes? If so, what? Do you need daily access to the truck bed? Occasional? What size items will be in your truck and how often? How to choose: Hard or soft cover? Hard cover is more secure and usually more costly. Soft covers are more versatile and more budget friendly. Hard and soft covers are available in folding, retracting and hinging designs. Most covers offer easy tailgate access. A hard retracting or soft roll-up can open for almost full truck bed access. Folding covers are great for when you have to carry taller cargo because you have easy access to the truckbed without taking the cover off. 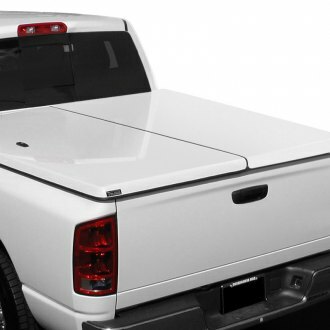 Soft folding tonneau covers give you easy access to most the truck bed when on the truck and are easy to remove. Hard folding covers give you access to nearly the whole truck bed when on the truck and can be removed with some effort. 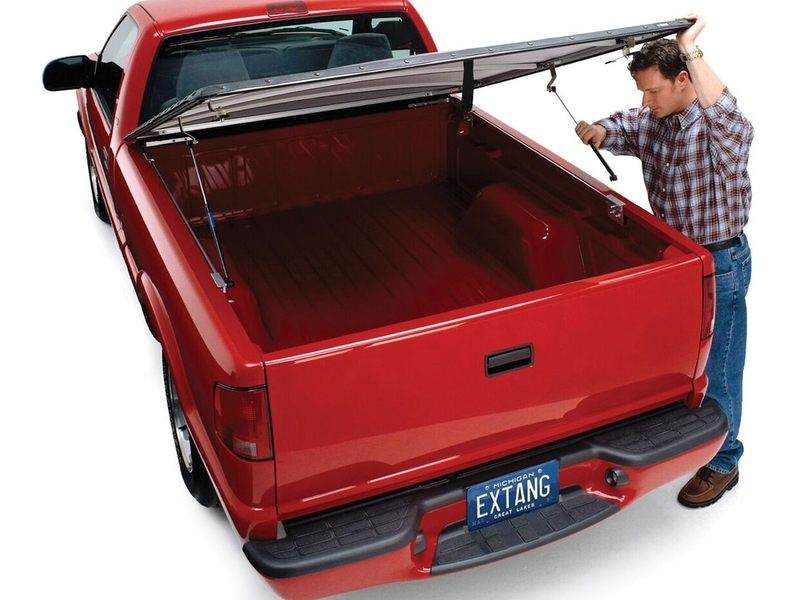 Soft and hard hinging covers are easy to lift open at the tailgate and can be more difficult to fully remove. Some bedliners go over the rail and some go under the rail. This can affect the installation. 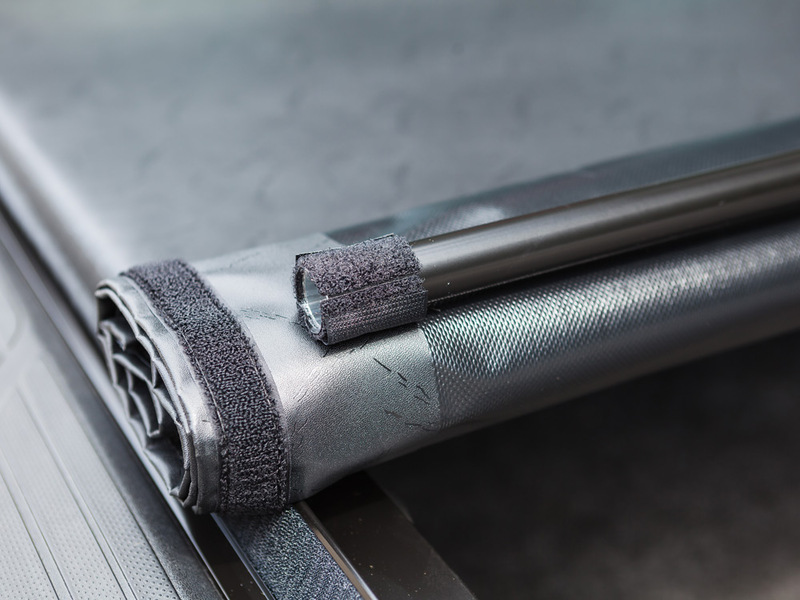 The bedliners are a consideration before the final decision for your upgrade can be made. Also consider how easy the cover will be for you to use and how easy it will be to or remove if needed from time to time. 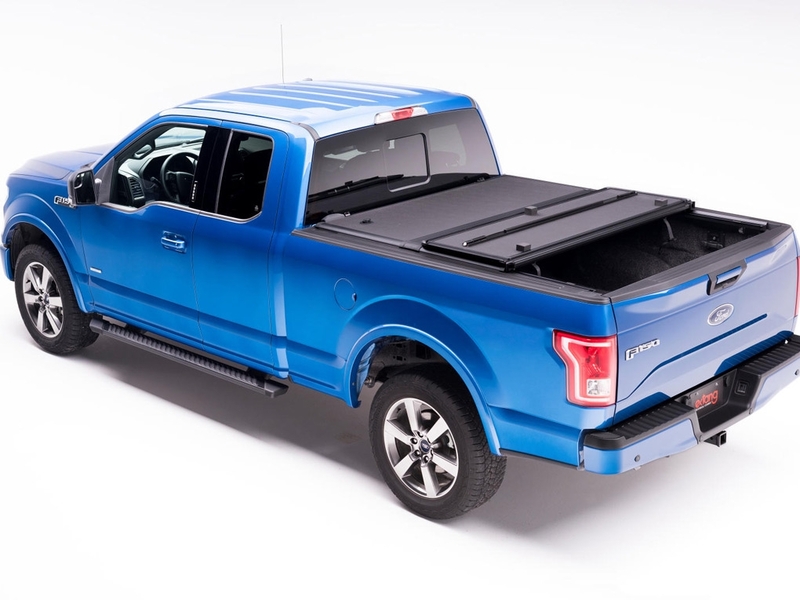 Tonneau covers are a popular upgrade and perfect for everyday use. 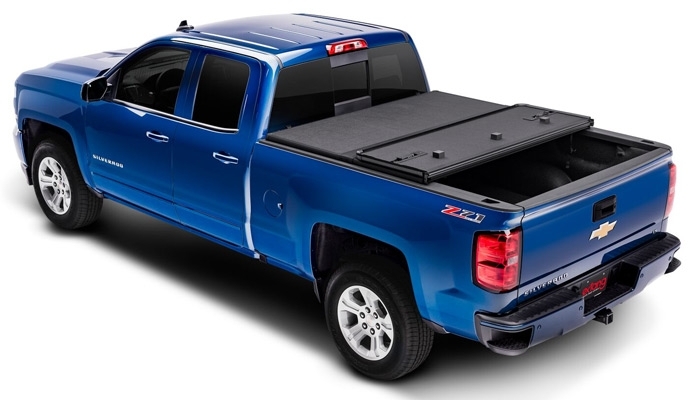 Call Bison Fleet Specialists today at 716-894-5799 to get the right tonneau cover for you. High impact plastic painted fiberglass lids – Painted fiberglass covers make the piece look like it came from the manufacturer with the truck. It can be the same color as the vehicle. Retractable: Retractable covers are usually made of aluminum and retract into a canister at the front of the truck bed. Retractable covers give you full bed access without removing the cover. Retractable covers lock and uniquely some can be locked when partially open. Security of a hard cover and versatility of a soft cover. Tri-Fold: Folds in three sections for full bed access and held in place by quick release clamps. Tri-fold covers are easy to remove from truck. Snap: If you choose to seal with snaps-make sure you get adjustable snaps. Weather can shrink or stretch the cover by up to 1″, so you would need to adjust the snap location. Snapless: The cover has a rubber tongue and groove seal. You push the rubber/plastic seam into the aluminum channel. The system is great in all weather conditions. Velcro: Fast and easy for opening and closing. It is weatherproof and has a smooth modern look.